Restore Masonry's commitment to safety has resulted in numerous awards and recognitions. Over the years, Restore Masonry has built a peerless reputation for job-site safety among its clients and its peers, and our unmatched dedication to job-site safety remains unique. We not only meet current safety regulations and practices, but our company regularly takes extraordinary steps to ensure our employees, clients and the public are protected from harm. Everyone at Restore Masonry — from our owners to our supervisors to our employees — plays a significant role in our safety program. For example, the owners of the company have put a strong focus on safety since our start and always insist that safety issues are thoroughly considered before any job is started. Likewise, Restore Masonry employs a full-time safety director, who is charged with developing and implementing tough, smart safety policies and procedures, and providing oversight of the safety program to ensure it's being followed accordingly. Restore Masonry superintendents receive extensive safety training, as well. That training includes the OSHA 30 Hour Construction Health and Safety Course, scaffolding erection and dismantling, fall protection, American Red Cross first-aid CPR and AED, hazard communication, power line awareness, crane hazard awareness and silica hazard awareness. What's more, every superintendent is given full authority to stop work and immediately correct any and all safety concerns at any point during a job. To further ensure a safe job-site environment, Restore Masonry endorses a Drug-Free Workplace Program and has a zero tolerance policy for drugs and alcohol in the workplace. Restore Masonry is always seeking out new safety ideas, concepts and equipment. And we continually review existing safety policies to ensure all regulations are met, as well as to discover new and innovative ways to improve our practices. Restore Masonry management is also involved with several associations to ensure the company keeps current with the latest safety regulations and practices. 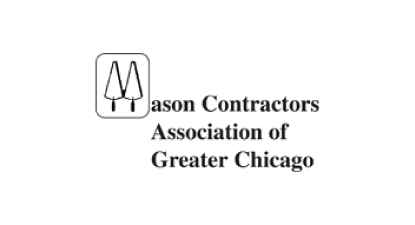 Those associations include the Builders Association of Greater Chicago, the American Subcontractors and Affiliates, the National Safety Council, the Chicagoland Chamber of Commerce and the Mason Contractors Association of Greater Chicago. In 2005, Restore Masonry received the prestigious First Place Associated General Contractors (AGC) of America's 6th Annual Construction Safety Excellence Award for a Specialty Contractor, 100,000 to 500,000 Work Hours. Also in 2005, AGC/Willis Awarded Restore Masonry's General Superintendent Martin Simpson with the 2005 Superintendent of the Year Award for a Specialty Contractor. The Mason Contractors Association of America (MCAA) presented the first Safety Advantage Awards to four companies on Friday, September 14, 2012 during the MCAA Midyear Meeting in Park City, Utah. 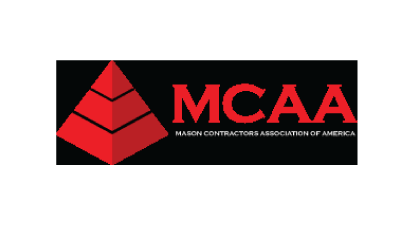 The MCAA Safety Advantage Awards are presented based on a mason contractor’s incident rate. Awards were presented to the top two companies with less than 100,000 hours worked by all employees, and the top two companies with more than 100,000 hours worked by all employees. Restore Masonry took first place in the less than 100,000 hours worked category. Restore Masonry’s Safety program is managed byStrategic Safety Consulting LLC.